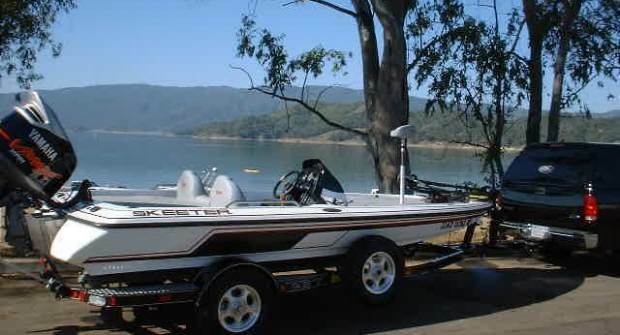 all the other boats I have driven. says this system will be offered on the 2004 ZX models?? 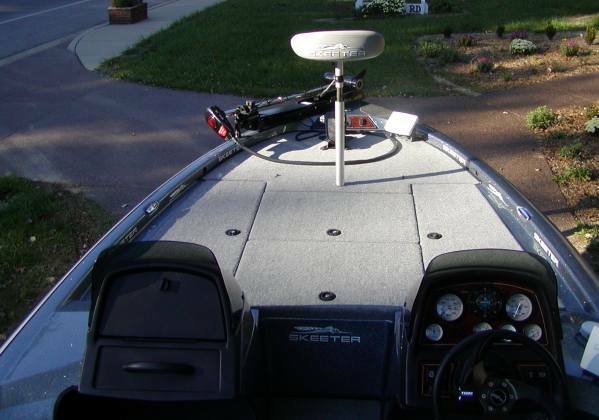 95 150 Merc XRi Garmin 1600 GPS, MinnKota 74# TM. Propshaft is 2.75" below the pad. Motor is 4.5" above the transom. stuff!! Love it !! 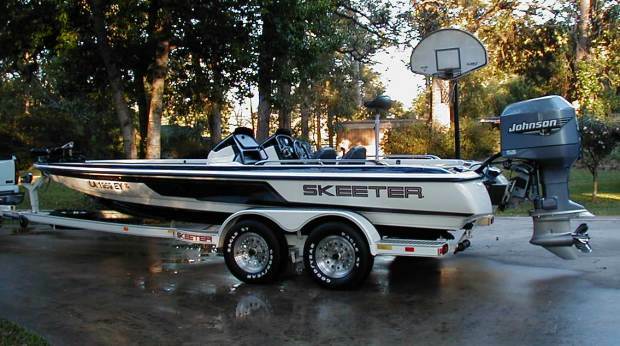 SKEETER....SKEETER!!! 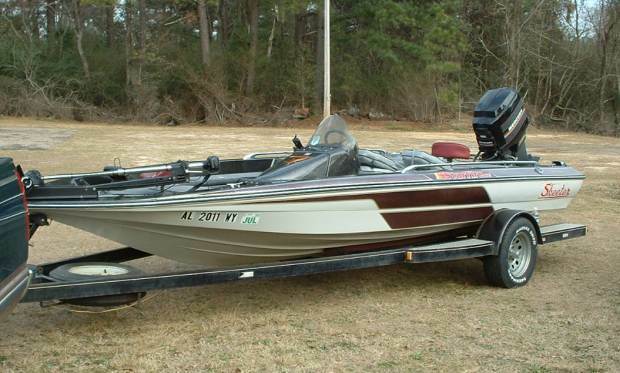 02 225 Yamaha MinnKota Maxxum 101#. 75 mph @ 5600 rpm (gps). as I would like. I think I can get a little more out of it." 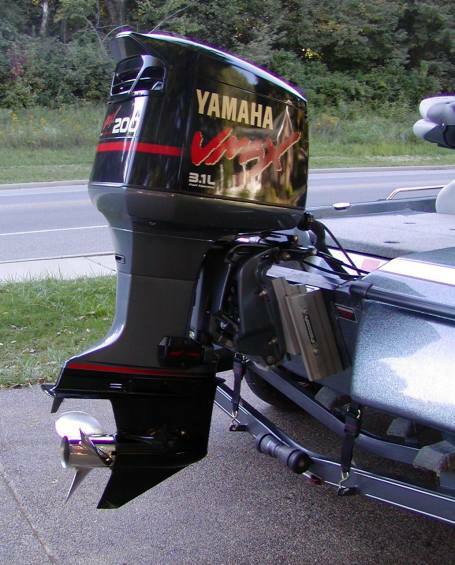 03 150 Yamaha VMax Motor is 2" off the transom. 63 mph @ 5100 rpm (gps). (gps). "This boat does everything I want." 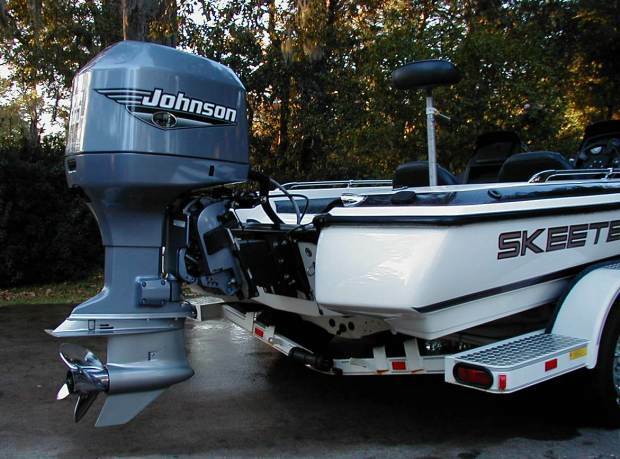 95 200 Johnson Eagle Magna II, Motorguide 56#. hurry. 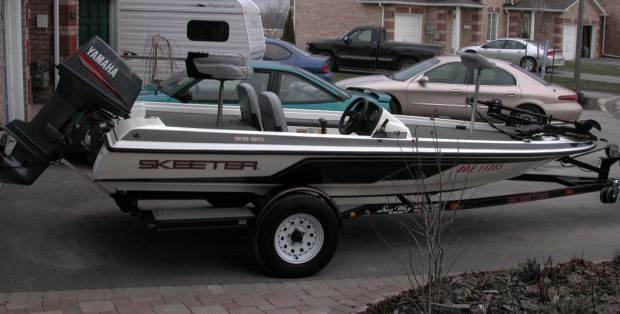 My second Skeeter and I am definitely hooked." 92 175 Merc Motor is 2" off the transom. 67 mph @ 5400 rpm (gps). a lot faster. 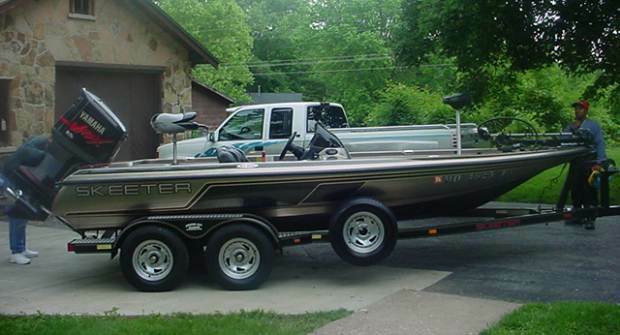 Good dealer at Boat Boys in Newark, OH." 88 175 Merc Motorguide TM. Propshaft is 3.5" below the pad. Black Max 67 mph @ 5700 rpm (gps). "Old but still runs great." 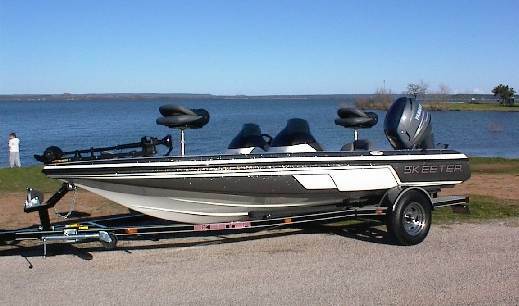 03 225 Yamaha OX66 Lowrance X15/GPS, MinnKota 101#. ZX195 last year. 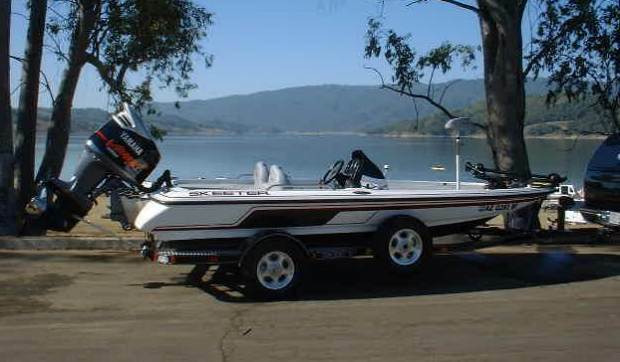 ZX225 handles and drives excellent." aluminum wheels,and more. Man, I love this boat. Wrangler HP150 48 mph (speedo). a chance to iron all the bugs out.....Love it so far." 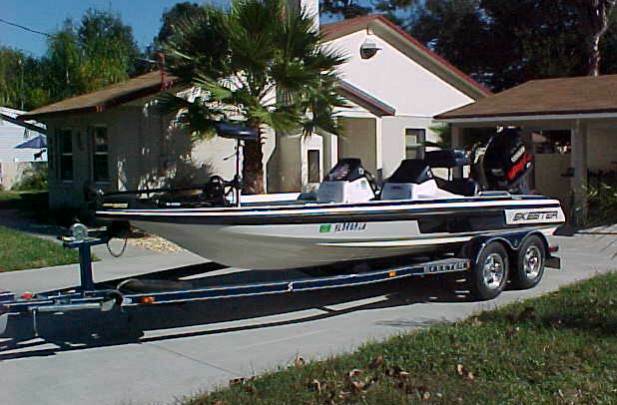 99 200 Yamaha 3.1 Zercom flashers CID-40, MinnKota Maxxum 74#. solid White with laser pin stripes and has White seats. 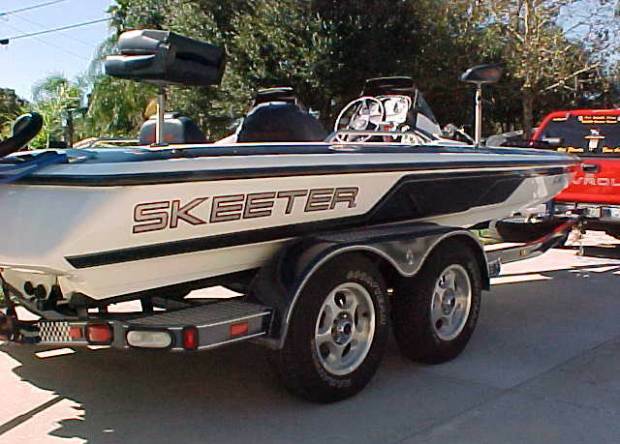 desigining these boats for everything thanks..Skeeterman. 89 100 Merc 56 mph @ 5250 rpm (speedo). 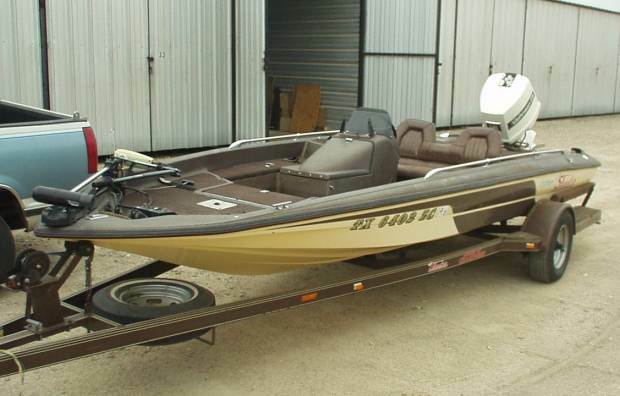 00 150 Yamaha VMax Motorguide 767 TM. 66 mph @ 5400 rpm (gps). 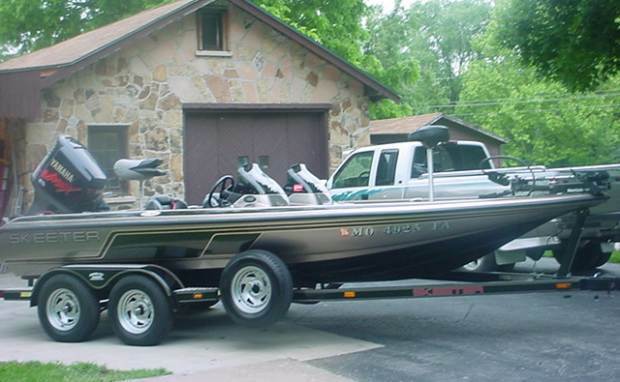 "Going into my second full season fishing this boat. 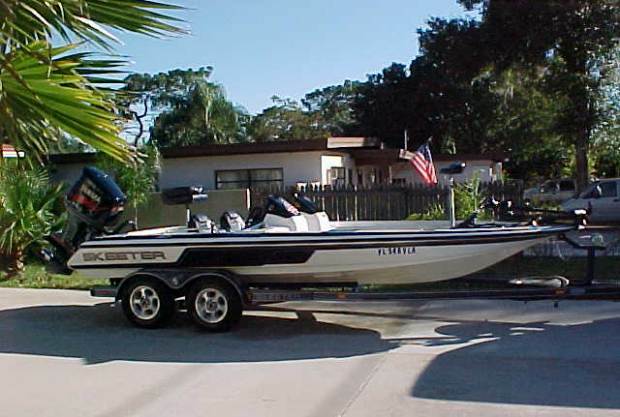 speed and fishability. 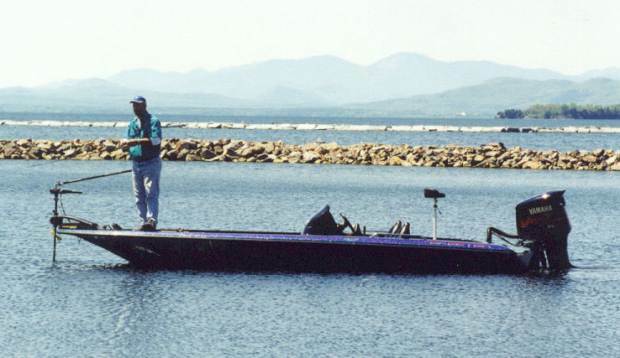 Really stable fishing platform. boat. Good value for the money. 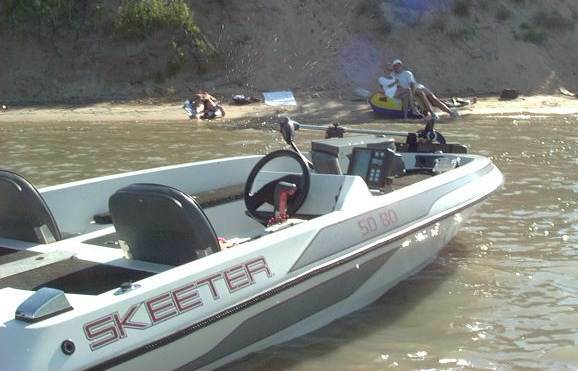 Love my Skeeter!" 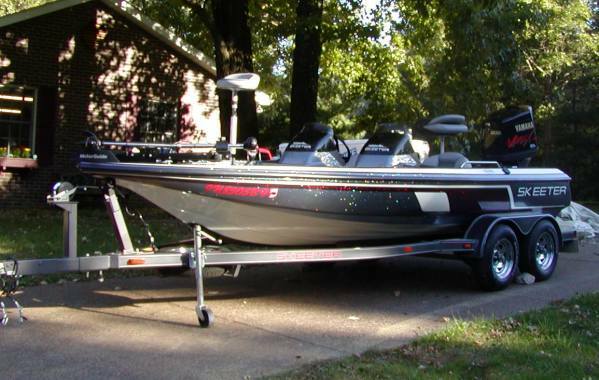 Dual Console MinnKota Maxxum 74#. Propshaft is 2.5" below the pad. 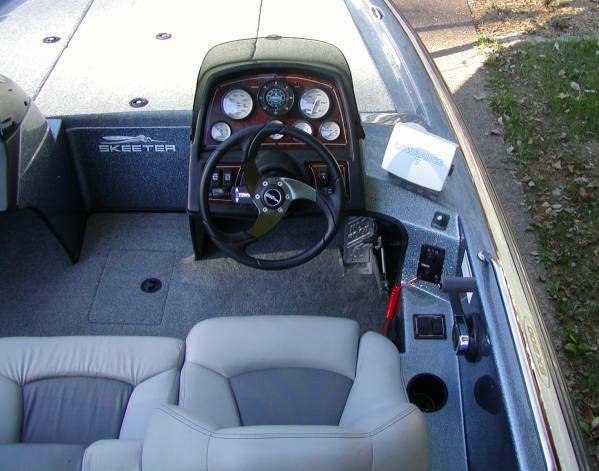 hot foot, hydraulic steering and Lowrance electronics. MinnKota Maxxum 74, Universal Transducer. " 95 175 Merc EFI 62-65 mph @ 5800 rpm (speedo). could get more speed out of it. The boat is 18'3". Thanks very much for any help." 99 200 Yamaha 70 mph @ 5200 rpm (speedo). 01 225 Yamaha X65, Motorguide Tour Edition 109#. Propshaft is 3.5" below the pad. 80 mph (speedo). floor, super smooth ride. 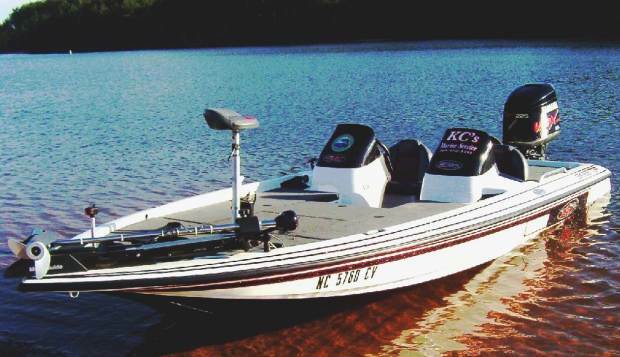 Love the 109# trolling motor." 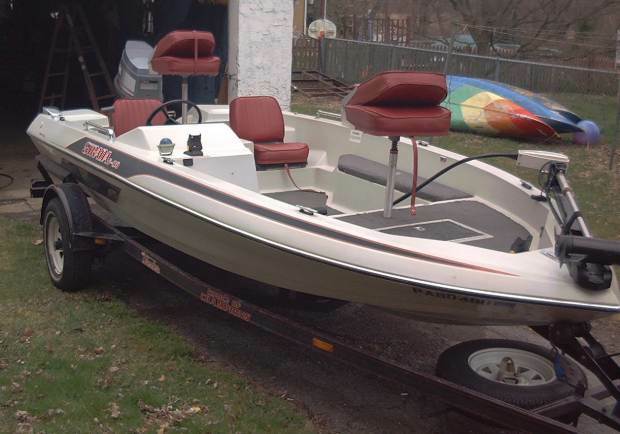 02 225 Yamaha MinnKota TM. Propshaft is 3 1/2" below the pad. making for the 250's, and at 5200 rpm it ran 68 mph. 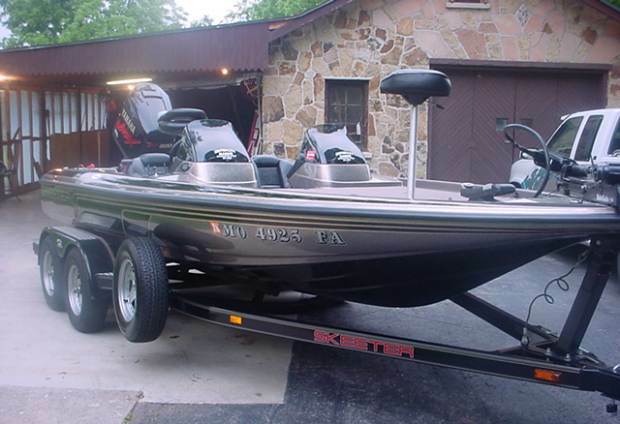 03 150 Yamaha X87, MinnKota Maxxum 74# TM. it runs mid 70's now." 50 mph @ 5600 rpm (gps). enough to fit in a garage so it stays in new condition. not about to give up top end with a lower pitch prop. stable enough for me and my father." can break her in! " 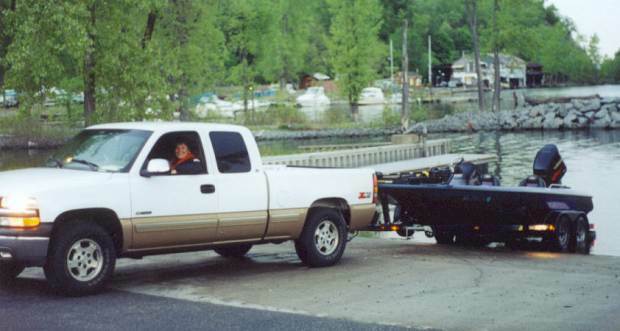 02 225 Yamaha Tandem trailer w/swing away tongue. Dual console. work best with a 4 blade prop. Vibrates with a 3 blade." and out. People comment on the boat everywhere I go. 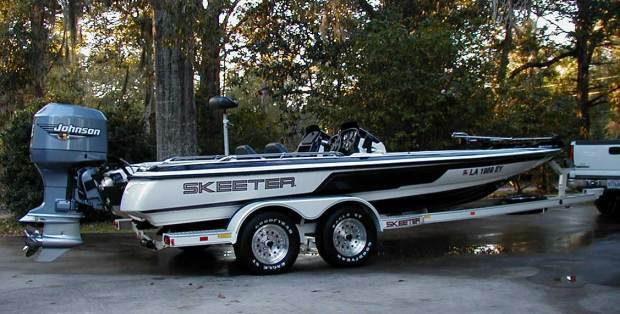 Skeeter is the finest bass boat you could ever fish from!!" (gps). 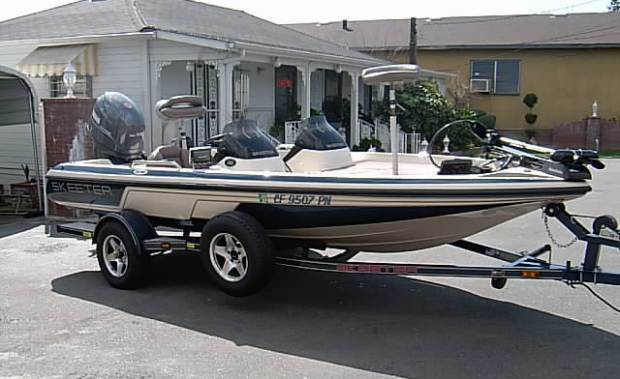 "Boat is Fantastic. Handles rough water nicely. Seems like I should be going a little faster than I am. Have had some trouble getting the motor to perform. hopefully I will see some improvement." 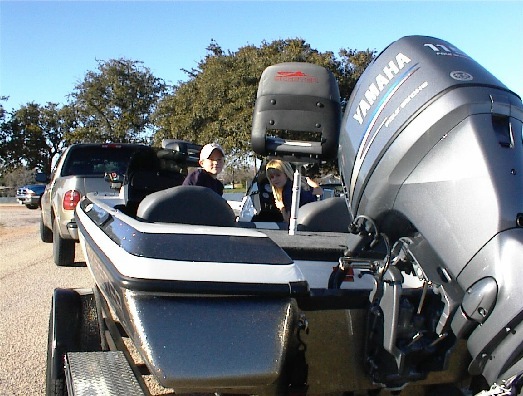 150 Yamaha ProV Motorguide 756. 65 mph @ 5400 rpm (speedo). Updated 12/22/02.... it's a wild ride." 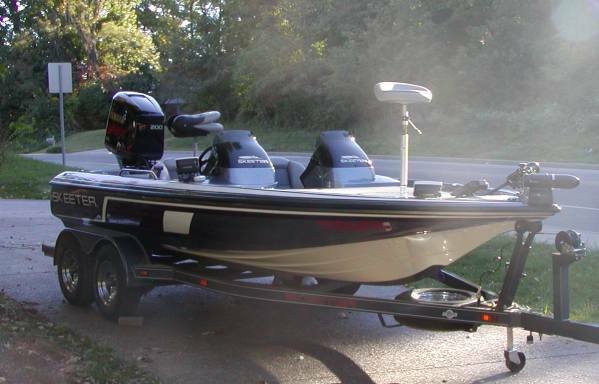 150 Yamaha & GPS, Garmin 240, Minnkota 74# TM. 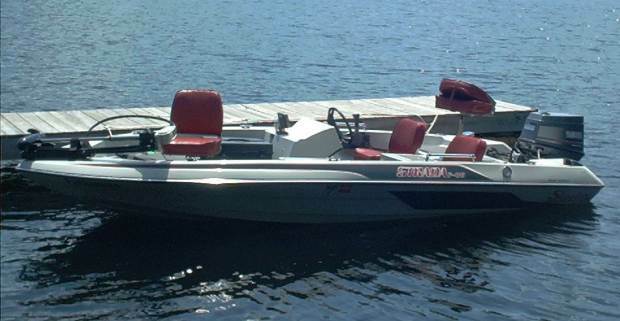 150 Evinrude Motorguide Brute 55 TM. Transom height - 22". new - they don't make them like this anymore!" 70 mph with a 4 blade; with a 3 blade it's a little scary. with a full tank of gas I was getting about 65-68 mph." different props to find best setup." working on getting a little more performance and speed. 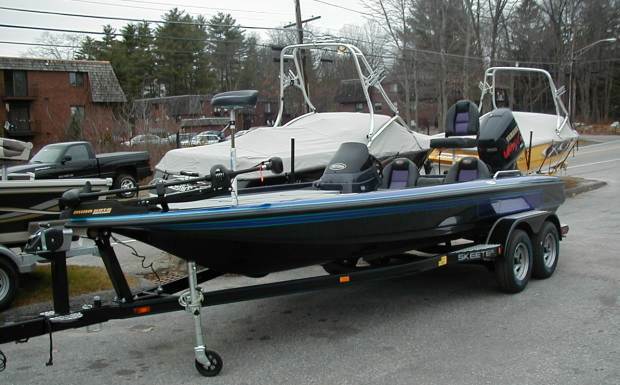 225 Yamaha X15, X71, Zercom flasher, MotorGuide TourEdition 82#. 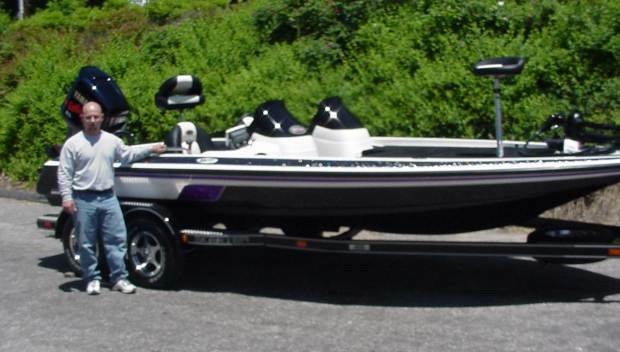 75 + + + + + "
225 Yamaha MotorGuide Tour Edition 109#. plus 3 bank on board charger, Pro trim, custom cover. 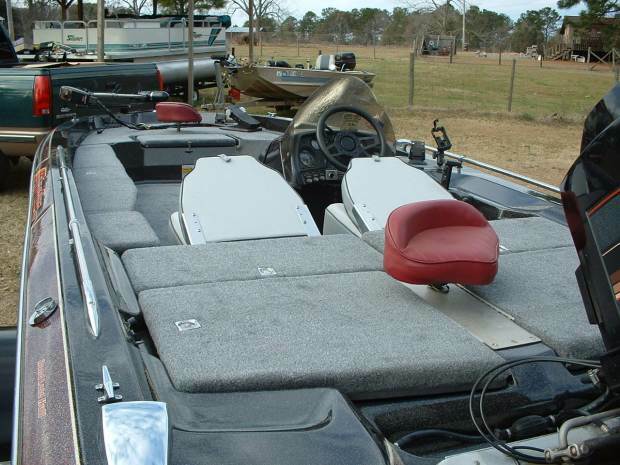 225 Merc EFI Garmin 240, MotorGuide 776 TM. 70 mph @ 5800 rpm Approx.(gps). "Working on setup and all my settings." 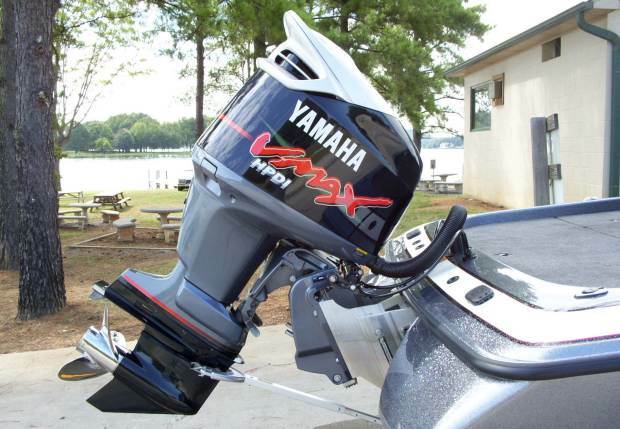 150 Yamaha VMax 58 mph @ 5200 rpm (gps). from the "Skeeter Vets!" Eat! Sleep! 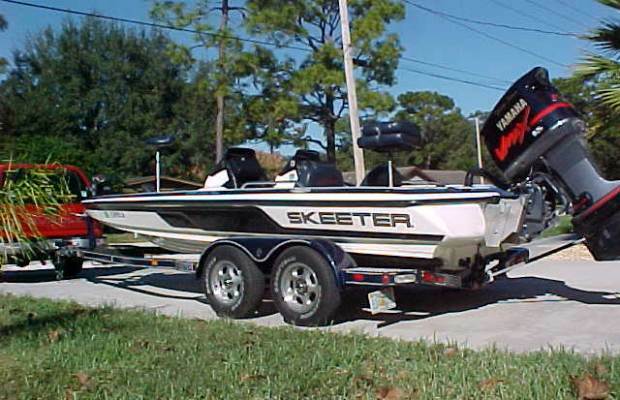 Run a Skeeter!" 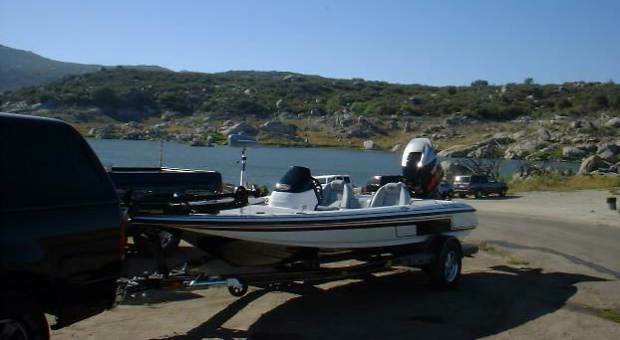 200 Yamaha MotorGuide TM. 75-76 mph @ 5900 rpm (speedo). 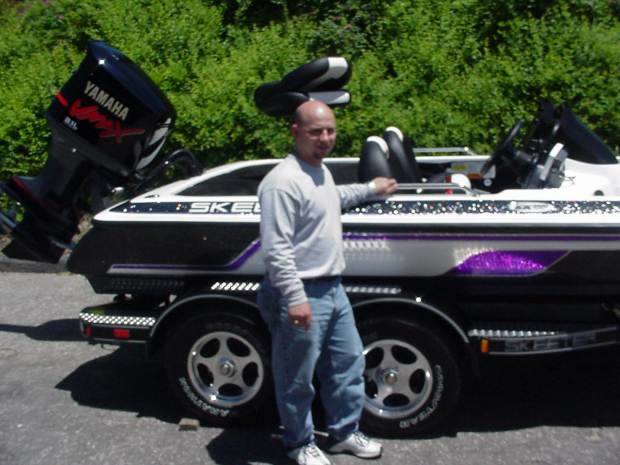 "This is the most fishable boat I've ever fished out ot. 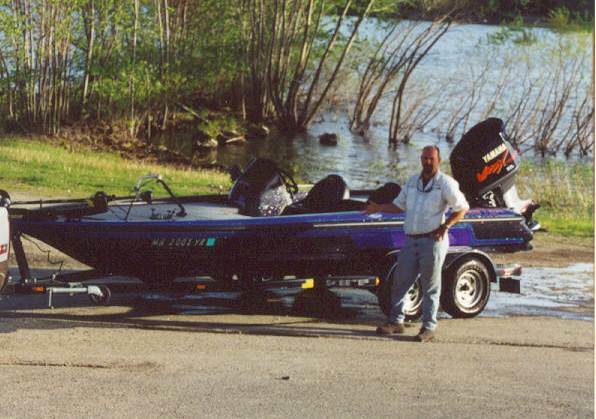 said the same and these are other bass boat owners. chairs. 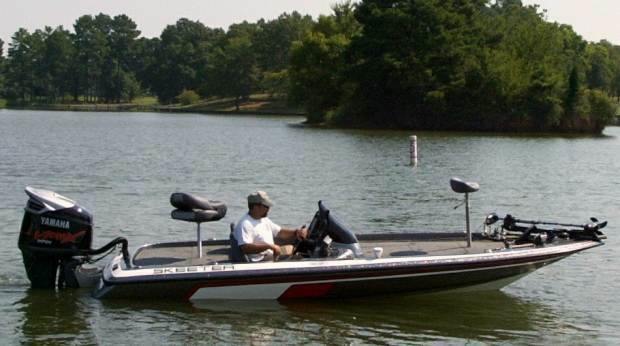 It's the most user-friendly boat out there. Eat-Sleep-Fish. What else is there!" 150+ Merc Lowrance 1240A, Pinpoint 3700. Propshaft is 1 3/8" below the pad.